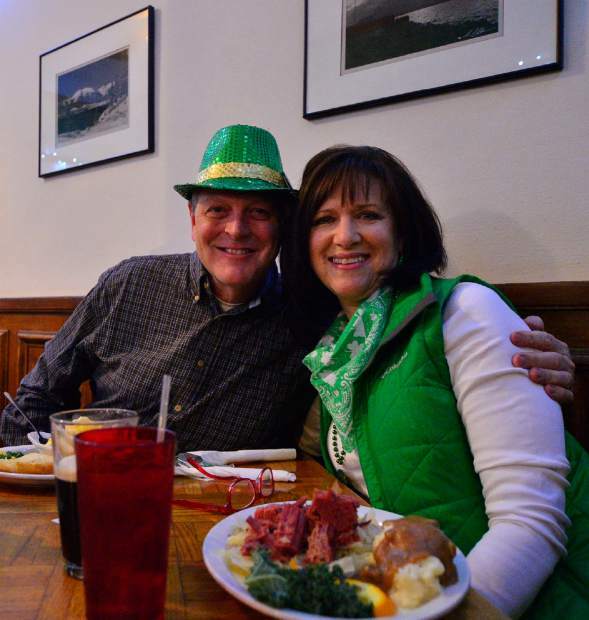 Susan and Don Reynolds of Breckenridge enjoy the St. Patrickâs Day fare Friday at Murphyâs Irish Pub in Silverthorne. 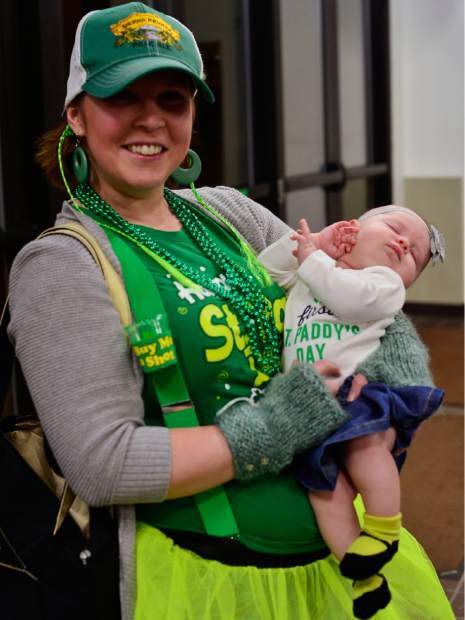 Randi Paquette of Silverthorne holds her daughter Addison as they pose for a photo on Addisonâs first St. Patrickâs Day on Friday in Dillon. 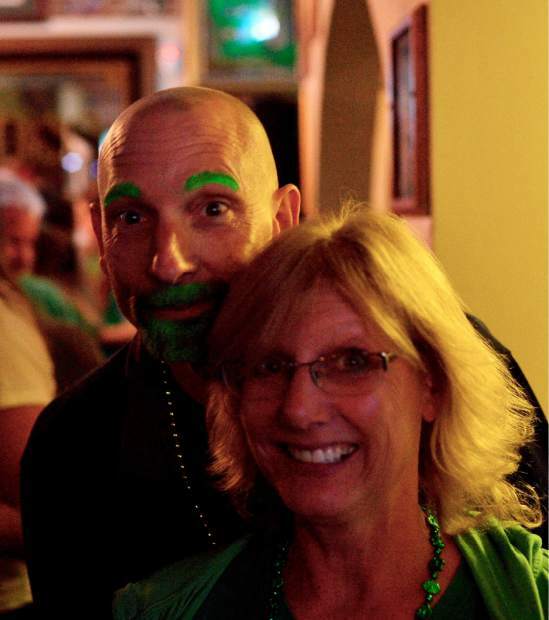 With his goatee and eyebrows dyed green, George Altz celebrates St. Patrickâs Day with M.B. 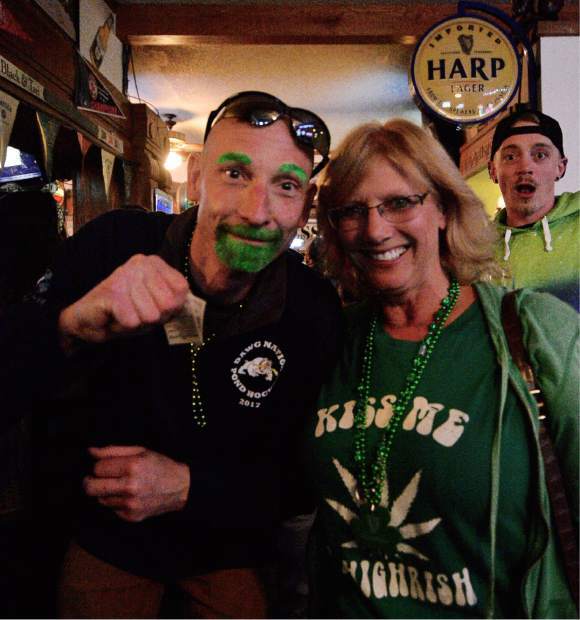 Greene on Friday at Murphyâs Irish Pub in Silverthorne. 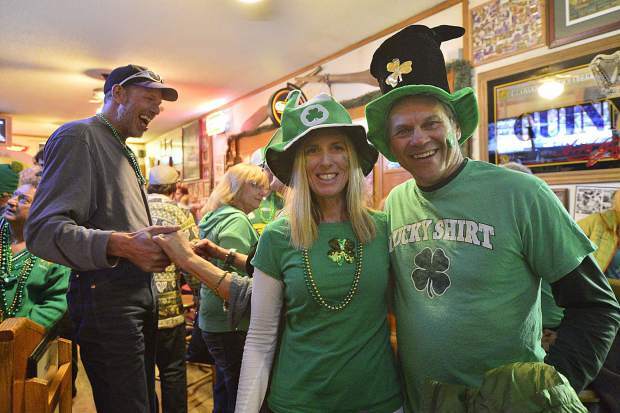 Elle and James Westphal didnât forget their St. Patrickâs Day hats Friday night at Murphyâs Irish Pub in Silverthorne. 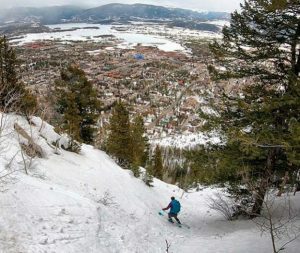 The pub had a number of holiday-related specials on food and drink and, at the end of the night, gave away a snowboard. 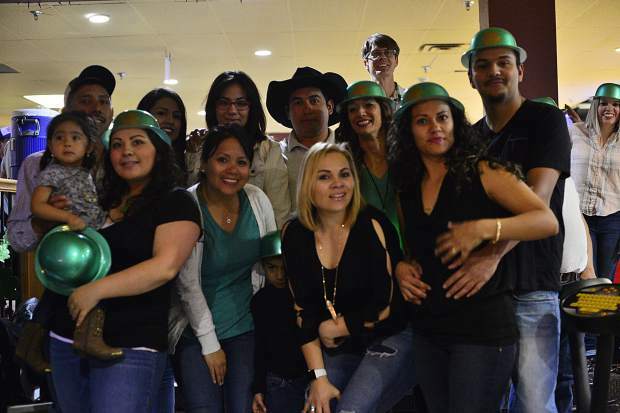 A group celebrating Yanitza Rivera's birthday makes time for a St. Patrickâs Day photo Friday night at Lakeside Bowl in Dillon. Rivera is third from right, next to the man in the cowboy hat. 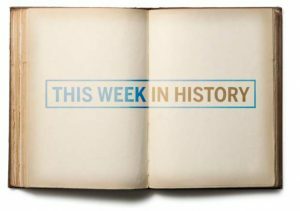 "I tell everybody I'm Irish, but no one believes me," Rivera said. 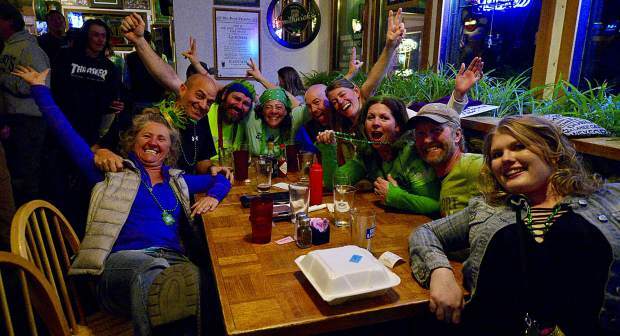 Clockwise from bottom left, Mary and Mark Miola, Earl and Wendy Clairmont, Jason and Meredith Adams, Heather Wickstrom, Benjamin Becker and Ashley Batty show their green Friday night for St. Patrickâs Day at Murphyâs Irish Bar in Silverthorne. 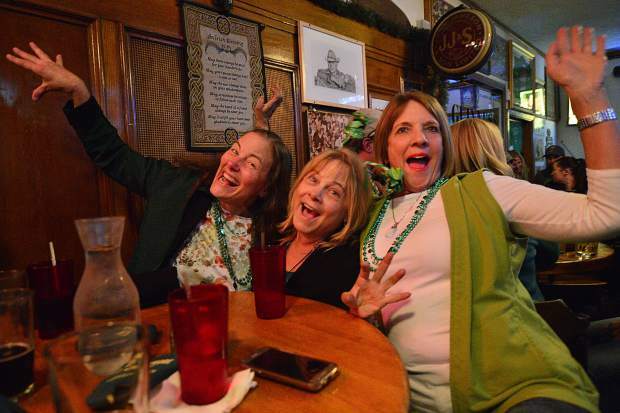 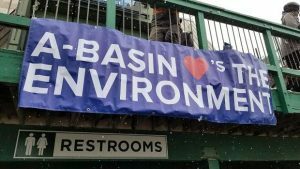 From left, Katy Abbott, Hesh Diguiseppi and Kathy Alexander of Denver throw their arms in the air as they came up to the mountains Friday night to party down on St. Patrickâs Day at Murphyâs Irish Pub in Silverthorne.